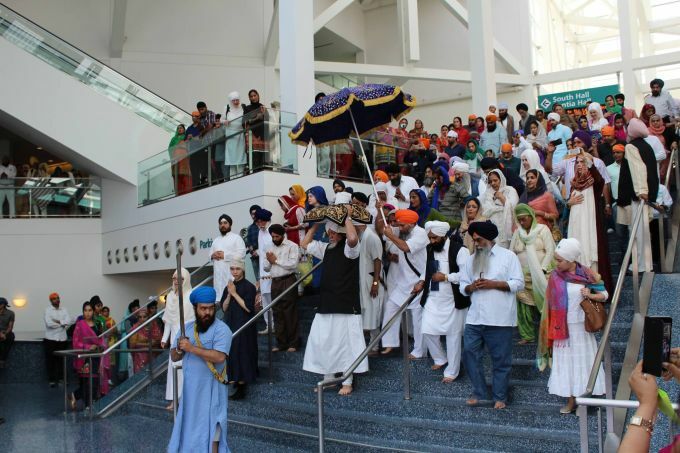 The Sikh Community of Southern California will come together on April 14th at the Los Angeles Convention Center for the annual Baisakhi Kirtan Darbar & Nagar Kirtan Celebration, attended by thousands. The event consists of the Kirtan Darbar (The Court of Divine Music) which will take place from 7:00 am - 3:00 pm followed by the Nagar Kirtan (Procession of Divine Music), parade from 3:00 pm - 5:00 pm encircling just under two miles in downtown Los Angeles with delightful snacks being served afterward. The Guru's Langar will be served throughout the day. This is one of the traditions of Sikh celebrations begun by Guru Nanak where all who come together in spiritual community, also partake of a vegetarian meal together as a community of social equals, regardless of class, geo-political or religious distinction. This year marks the 550th Anniversary of the Birth of Guru Nanak Dev Ji. The impact of his life is both continuing to be realized and just beginning to be known and understood around the world. His life and teachings planted the seeds of a massive social change that would ultimately upend the mores of a societal cast system that had prevailed for several millennium. He championed the rights of women, the equality of all human beings and inculcated anyone he met with the message that there is "One God; The Creator of All Creation", Ik OngKar. He said that, "Truth is great, but greater still is truthful living." If society were to change, individuals had to change. Change needed to take place at the grass roots level and change needed to happen at a macro, societal level, both. So, he walked, with his two companions Bala and Mardana, one Hindu and one Muslim, over seventeen thousand miles and became a one man revolutionary for the plight of human suffering and for the cause of human dignity and divinity. Those who found his message compelling and irresistible grew in numbers and themselves became the Sikhs, the students of Guru Nanak. He left this earthly plane in 1539 while afterward, his divine light continued to emanate through nine successors until Guru Gobind Singh Ji declared Siri Guru Granth Sahib Ji as the Living Light of the Guru for Sikhs thenceforth. On Baisakhi day in 1699 Guru Gobind Singh brought to crystallization Guru Nanak's words, "If you wish to walk this path of love, put your head in your hand and walk on my path". These words of Guru Nanak's were meant to impart the necessity of surrendering one's ego to the guidance of Guru and will of God for the benefit of enjoying a life beyond pain, suffering and duality. Guru Gobind Singh in 1699 stood in front of tens of thousands of Sikhs on that Baisakhi Day and with a brandished sword asked for a head. He tested the mettle of all his Sikhs on that day and ultimately, only five withstood the test. 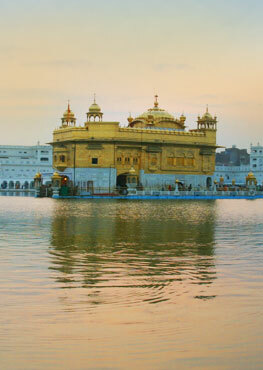 They surrendered their heads to Guru and in exchange they were reborn as the Panj Piare, the Beloved Ones. These Beloved, Khalsa, pure ones, were blessed to receive the Guru's Amrit, the Nectar blessed by Guru's double-edged sword and Guru's words. Then the Guru, himself asked the Panj Piare to bless him with the Guru's Amrit and thus began the next evolution of Guru Nanak's revolution of social change where, as Guru Gobind Singh said, "Sparrows were turned into Hawks." 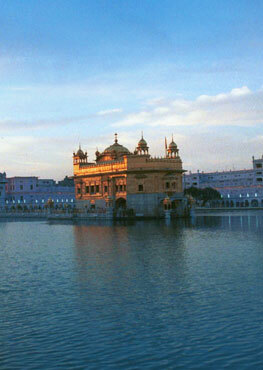 The Khalsa, the Fellowship of Pure Ones, went on to serve the cause of religious freedom and dignity for all. They fought a relentless tyranny of oppression and injustice for a period of Indian history which entailed tremendous sacrifice and spanned over one hundred and fifty years. It was on that Baisakhi Day in 1699, when the Sikhs of Guru Gobind Singh Ji were given the dictate to live distinguished in the world with their Bana, sacred dress, including turbans, which previous was considered the purvey of Royalty, alone. Their donning of the turban thereafter became the Khalsa's living declaration and life commitment of standing for social justice, equality, human dignity and good will for all.